Washington (CNN) - After months of intense negotiations, a bipartisan U.S. House group has reached an "agreement in principle" on immigration reform, according to Rep. Mario Diaz-Balart of Florida, one of the GOP members of the group. A Democratic aide familiar with the discussions confirmed that all the members signed on and told CNN both Democrats and Republicans "will now run the whole package past their respective leadership and colleagues" and aim to formally introduce legislation at the beginning of June. Diaz-Balart declined to get into the details of the deal, but said, "there's going to be a lot of differences in a lot of areas," from a bipartisan measure working its way through the Senate. "Filing a real bipartisan bill – a serious, enforceable commonsense bill is, I think, a huge step. But it's the first step of the process … a very important step," Diaz-Balart told reporters outside the House floor Thursday. 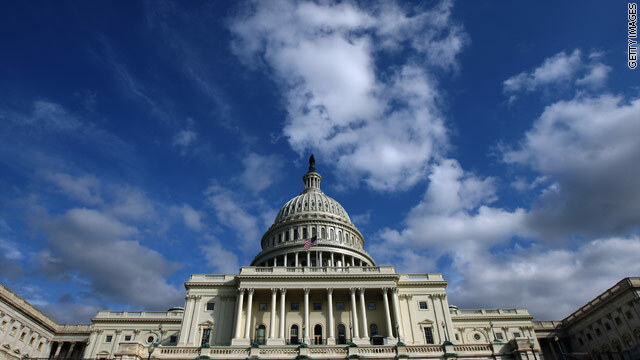 The four Republican members of the House group include Diaz-Balart, Rep. Raul Labrador of Idaho, and Rep. John Carter and Rep. Sam Johnson, both of Texas. The four Democrats are Reps. Xavier Becerra and Zoe Lofgren, both of California, Rep. Luis Gutierrez of Illinois, and Rep. John Yarmuth of Kentucky. Carter told reporters earlier on Thursday that the last sticking point involved whether the 11 million undocumented immigrants in the United States would get access to government health care benefits. It's unclear how the group resolved that issue. Carter also said that because Republican and Democratic negotiators were unable to come to an agreement on a program overseeing guest workers, the group decided to leave that issue out of the bill. But both planned to offer their proposals separately, likely as amendments to the main legislation. Both sides differed on how many worker visas should be allowed for construction companies and other industries relying on low skilled labor workers. House Speaker John Boehner pledged that any immigration bill would move through the appropriate committees in the House before any vote by the full chamber. A key test for the bipartisan deal will come when the House Judiciary Committee takes it up, because that panel includes a significant number of conservatives, who have pledged to block any measure that allows a path to citizenship for undocumented workers. Boehner signaled he wanted the House to have its own version to negotiate a final immigration bill with the Democratic-led Senate. "I continue to believe that the House needs to deal with this and the House needs to work its will," Boehner said on Thursday. The Senate plan is now being considered by the Judiciary Committee. Is this guy for Real??? Republicans have lots credibility, the GOP is a joke. He can say whatever he wants, unless he has the proof to back his claim he needs to get off his high horse. Really sad individual! TO Secretary Hillary Rodham Clinton: Great job and look forward to casting my vote for the first Female President of the United States. "Always aim high, work hard, and care deeply about what you believe in. When you stumble, keep faith. When you're knocked down, get right back up. And NEVER listen to anyone who says you can't or shouldn't go on." We wouldn't have deport the 20 million illegals. If we announced, much like AZ did, that people are going to be detained and deported, they will self-deport. When AZ announced their legislation, they left in droves for the homeland or neighboring states. Instead of figuring out how to absorb them, we should be figuring out how to motivate them to leave. We've heard this song too many times before. A committee reaches a bipartisan agreement on an issue, only to have the vote fall along party lines. Even members who voted for the agreement in committee turn around and vote against the agreement during floor votes. Finally, these same people who voted "no" will come out and criticize the administration for a lack of bipartisanship. The libs keep pounding the point that illegals don't get state or federal benefits. Here's the reality. Most of the benefits are acquired via the anchor babies they crank out once they are here. Those kids are immediate citizens who are eligible for all the goodies. So illegal mom and dad apply for everything the child is eligible for and away you go. As far as the illegal parents, there are programs which do not require citizenship verification. These may be food pantries, thrift stores which operate within homeless programs who give away donated items etc. The reality is that illegals and their technically legal off spring are draining resources which should be allocated for citizens and those with legal status. Can someone please help me out here?? Why are Mexicans the only immigrants people are against?? I have been trying to figure this out for a while now?? Other groups come over here in droves. They give birth every 9 months, collect welfare and food stamps and even send money back home. Why doesn't anyone complain about them????? No I can't mention the groups, that is a sure fire way for my comment to vanish into thin air. "To be honest amirica need a new geniration of emmigrant all the emmigrant ar hard worker's and all of them abaid by the law the only crime the comited its trying to have a better lif all of them should be ligall and let them stay"
the only crime you committed was against the dictionary. Reaper, you need to be deported to wherever your ancestors came from. How raceist, ugly and bigoted you are. The rest of us americans are ashamed that you are part of us. DEAR REPUBLICANS: Please oppose and kill the bill. HIllary needs to be the first female US president! !